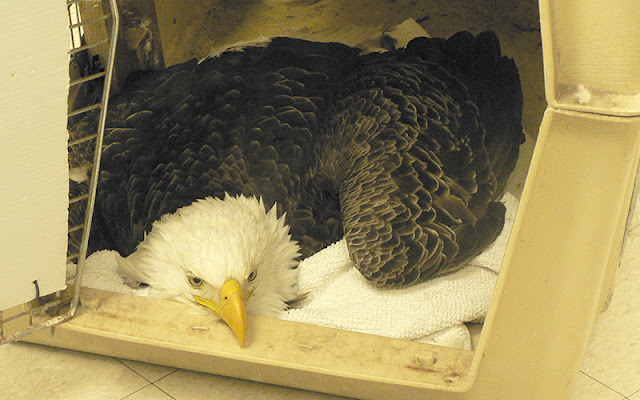 There is no safe level of lead for humans or wildlife. Even small amounts of lead can kill. Children are especially susceptible to its toxic effects. New Interior Secretary Ryan Zinke's overturn law banning lead ammunition being used in National Parks and wildlife refuges has some environmental and animal rights groups voicing concerns over the decision. Reporter Rex Carlin learned more today about the potential downsides of hunters using lead ammunition. 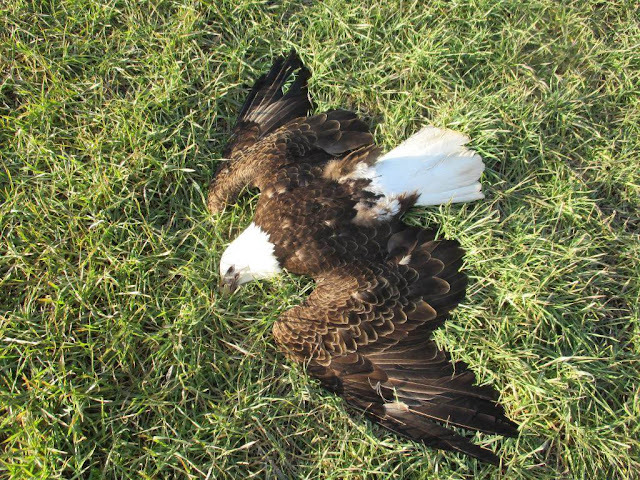 Wildlife groups say it isn't even up for question...lead ammunition has a lasting effect on far more than just the animals being hunted, and these aren't short-term consequences, they last forever. Lynn Tompkins, director of Blue Mountain Wildlife, says shooting an animal with lead ammunition creates an unintended domino affect that harms other, sometimes endangered animals. She says many birds including bald eagles will eat the lead-infected carcasses left behind after a day of shooting. 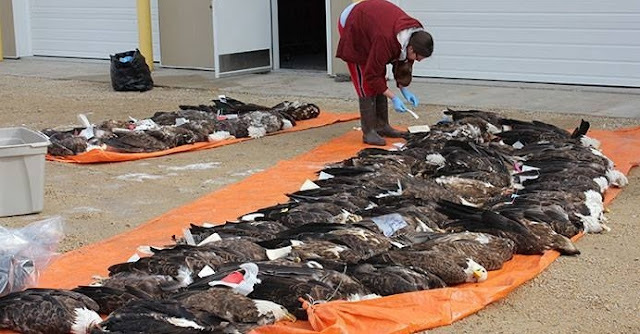 "Scavengers and eagles and raptors, and certainly the large hawks, are willing to scavenge on that, and it's toxic," Tompkins said. 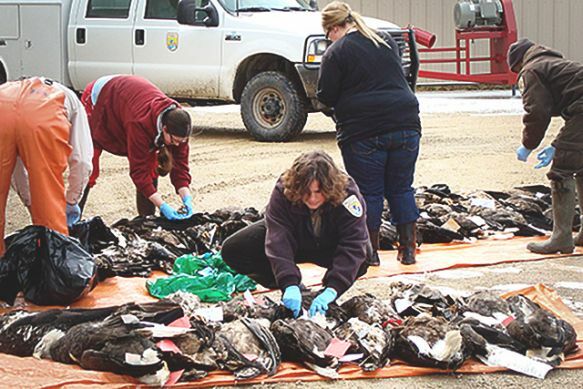 Tompkins says lead remains in the birds' systems forever: it never goes away, it just accumulates in the body, which can lead to serious medical problems and even death. 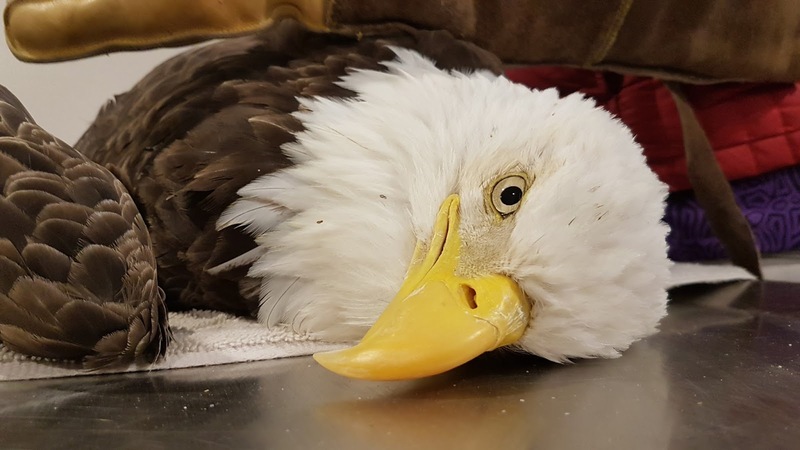 This is not good for animals like the bald eagle, which was just removed from the endangered and threatened wildlife list just a decade ago. Tompkins says almost every bird she tests comes up positive for some level of lead in its system, but adds that she believes more people will steer away from lead ammunition if they were aware of the harm lead causes to wildlife...so she's looking to spread the word that there are alternatives. 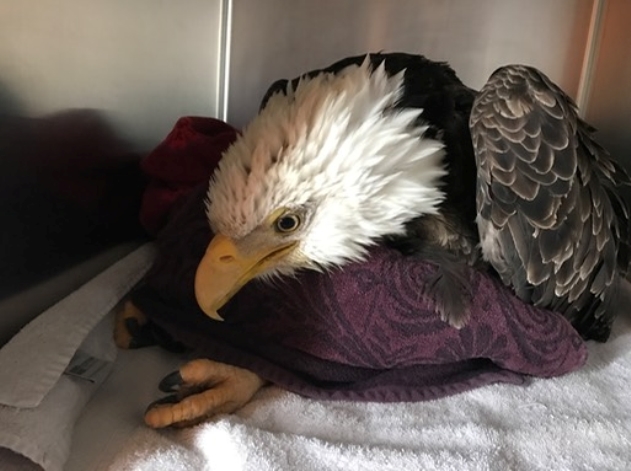 Lead poisoning has killed a bald eagle that was found sick in the wild in northeastern Pennsylvania. The four-year-old female was found last week vomiting near the Francis E Walter Dam in White Haven, Pennsylvania, by a state game commission officer, WNEP-TV reported. They brought it to the Carbon County Environmental Education Center for treatment, where it died Tuesday. It is believed the bird may have eaten a bullet. 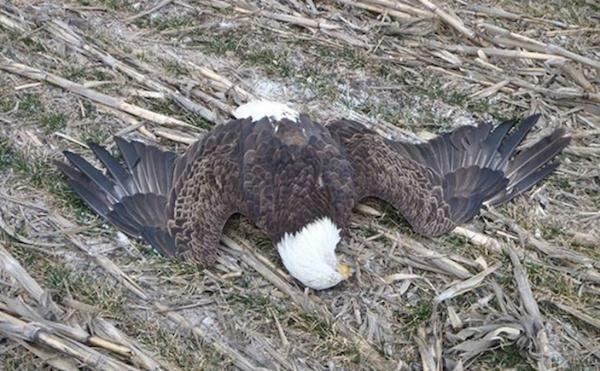 Responses to "Bald Eagles Keep Dying Because of Lead Poisoning"
This is so sad I thought that lead was no longer used in bullets and fishing weights.They have to do some thing about this. För djävligt - Andvänd inte blykulor om ni nu måste jaga. Skärpning. this is what we are doing.. frikken oil and gas companies. and farmed fish and and and oooh. makes me so mad .. my carbon footprint is tiny wish others would consider how they live their lives.